My art begins on city streets: in alleyways, on the sides of buildings, and sometimes on garbage bins. I am a street photographer. 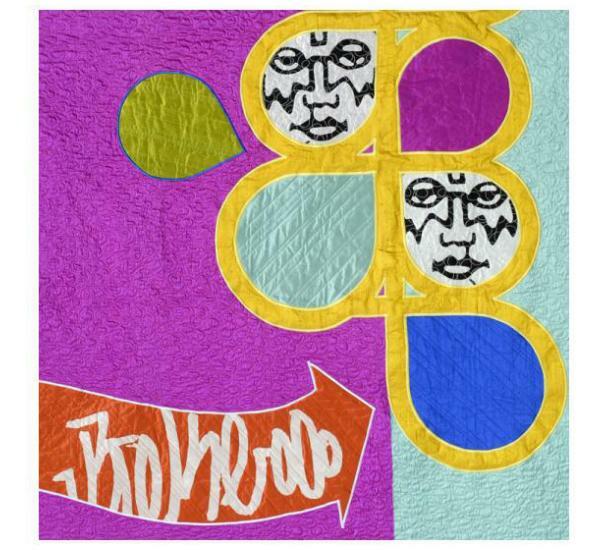 Inspired by the graffiti, signage, and sticker art in urban spaces, I take photos of found images, subverting and remixing them into urban quilts. 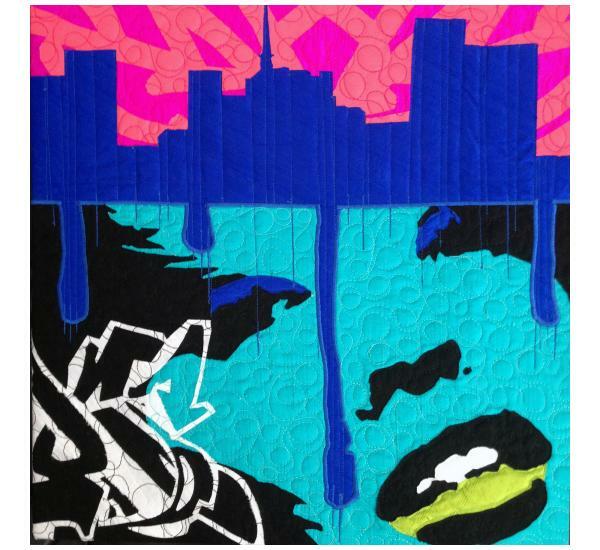 I make quilts that reflect a vision of an urban place that is both real and imagined. 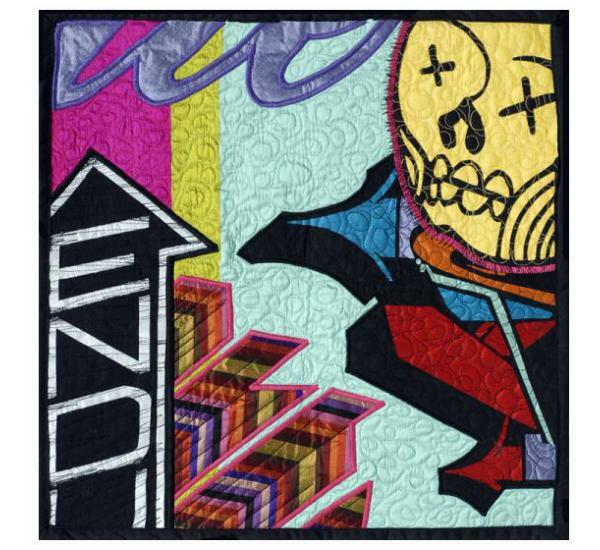 My quilts are thematically dense, full of layers of meaning. Like a DJ or a collage artist, I sample and reinvent images. 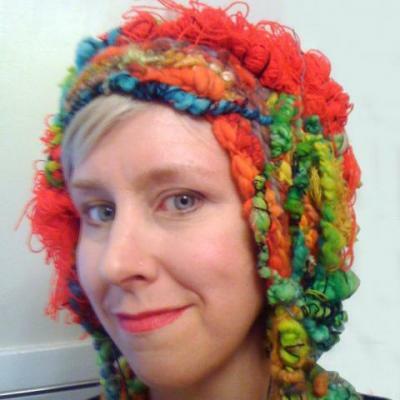 Using hundreds of digital photographs, I design a collage by computer, make paper patterns, and sew quilts made of silk and cotton. 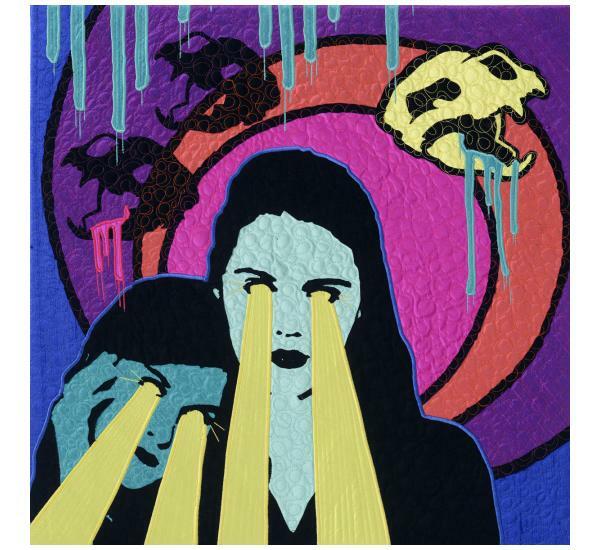 All of the images in my quilts are cut by hand and I quilt by 'drawing' with a sewing machine: moving the fabric under the needle to create intricate patterns. 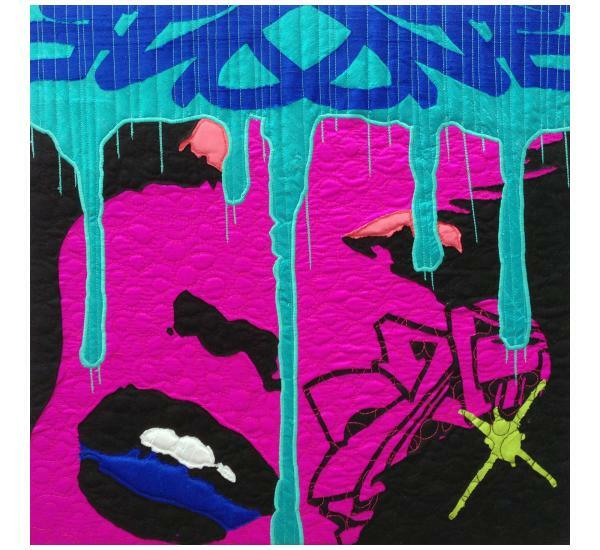 The resulting artworks are modern pop art rendered in fabric. They reflect the experience of city life and serve as an historical record of a neighborhood, in that the places I capture are constantly in a state of flux. My art is of the moment; it occurs on the streets, in public, in city neighborhoods.